Registration is required. There is no fee to attend this meeting. If you are attending the QC Meeting and the Annual Conference please click here to register for the entire conference.You will select the QC Meeting under Sessions during the registration process. If you are ONLY attending the QC Meeting, please register here. If you are ONLY Attending the QC meeting and require a room reservation, please contact the hotel directly. ASA July 2019 QC Meeting is Sponsored by: Aersale, Inc. Registration is required. There is no fee to attend this meeting. ASA has secured a small room block on a courtesy hold for a room rate of $139. Rooms are available on a first come first serve basis. The deadline to reserve a room is 11/14/2018. Sponsored By: Aircraft Inventory Management & Services, Ltd. Thank you to AerSale, Inc. for sponsoring this meeting! Hosted by Aircraft Inventory Management & Services, Ltd. 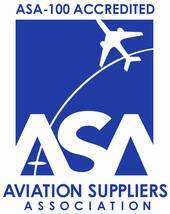 Thank you to Aircraft Inventory Management & Services, Ltd. for sponsoring the fall meeting! All presentations that were provided to ASA are available to attendees only via the Presentations URL provided to all ASA 2011 attendees. Can't find the URL, please contact ASA. Thank you to AerSale, Inc. for sponsoring the QAC meeting! Thank you to our fall 2010 meeting attendees. Thank you to Aircraft Inventory Management & Services, Ltd. for sponsoring the fall meeting again this year! As mentioned during the meeting, all presentations that are allowed to be posted are included below. Presentations with sensitive material are not included and will not be forwarded. If you have any questions or concerns please contact Stephanie Brown or 202-347-6897.